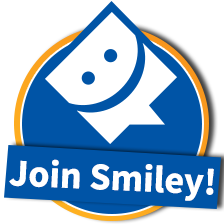 Smiley360 is a fantastic site where you can get free stuff just by sharing on social media. It’s free to sign up and so easy to do! I only just discovered this site about 6 months ago, but have already gotten so much cool stuff for free. You don’t even need a blog! Once you qualify, keep an eye on your mailbox for your first box of free stuff! The Smiley360 boxes are super cool. They are nicely wrapped with care in colored tissue paper and come with a bunch of goodies. Typically you will receive a full size product along with samples and coupons to pass out to your friends and family. Post to Facebook – Smiley already fills in most of the text for you. Easy. Post to Twitter – Again Smiley has already filled in most of the tweet. Just click! Face 2 Face – Should be pretty easy. If you have passed out your samples to your friends and family, you can just discuss how they reacted when they received it. Then you just write about your findings. Smiley Connect – Write a review of the product on the Smiley website. Post a retail review – this can be directly on the manufacturer’s website or another retail site like Walmart or Target. Smiley360 will tell you where to post it. When you submit a written retail review, you must disclose that you got the product for free. And then you will need to submit a screenshot of the published review. Sometimes they will request that you to perform the activities more than once to accumulate more points, but often this is optional. I don’t really like to bombard my Facebook friends with multiple posts about one product. However as most of them know me and my obsession with freebies, they put up with it and sometimes even comment on them (which is actually the whole point). Smiley360 gives you a baseline of points to achieve to complete a mission. For example, you may only need to get 40/100 points to consider the mission complete. If you want more points, you can do the rest of the options. You earn points for every activity you perform on Smiley360 from filling out your profile, sharing on Missions, taking surveys etc. Points are not redeemable for any rewards, but earning points allows you to qualify for Missions. And more Missions = more FREE STUFF! For even more ways to get free stuff with very little effort, please visit How to Get Free Stuff to learn more.